Ο κ. Βασίλης Πολύχρονος, CTO της GeoSense, μοιράζεται μαζί μας τις απόψεις και την εμπειρία του σχετικά με τους πρόσφατους κανονισμούς λειτουργίας και αδειοδότησης χειριστών Συστημάτων ΣμηΕΑ (Συστημάτων Μη Επανδρωμένων Αεροσκαφών). Μια ενδιαφέρουσα συνέντευξη του κ. Β. Πολύχρονου στην διεθνώς αναγνωρισμένη Ελβετική εταιρία φωτογραμμετρικού λογισμικού Pix4D. In January, the Hellenic Civil Aviation Authority (YPA) announced a set of drone regulations, and to understand their impact we asked UAS and GIS expert Vassilis Polychronos to share his experience and insights. 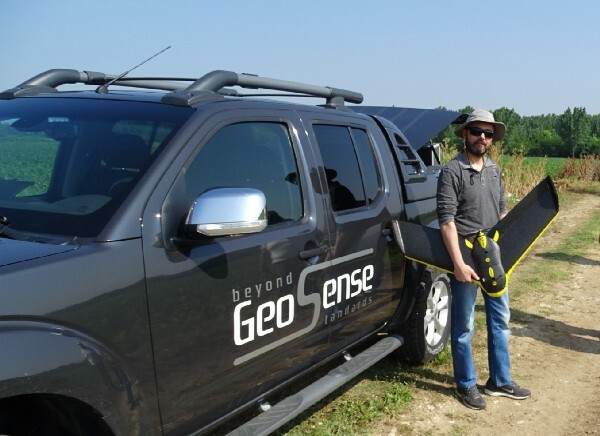 Polychronos is the founder of drone service company GeoSense and represents senseFly, DJI, and Pix4D in Greece. What is your experience drone mapping in Greece? We started back in 2011, exploring this market at the very early beginning. At that time, everything was primitive, drones, cameras, image acquisition, flight planning, photogrammetry software. Even the market was immature. Everyone was thinking that we fly toys rather than aerial mapping platforms. Since then, there has been a lot of evolution in drone hardware manufactures, and in photogrammetry software as well. Being there since day one and following this evolution line till today has made Geosense a leading company in this area. Nowadays, we are the biggest player in drone mapping systems distributing for senseFly, DJI and Pix4D. Key customers like NATO Rapid Deployable Corps, Hellenic Public Power Company, Eldorado Gold, National Observatory of Athens, Civil Aviation Authority, Universities and major private sector companies in Greece together with customers from Turkey, FYROM, Portugal, Cyprus and UAE indicate the recognition we are receiving. What is the current situation of this market? This market, as everything in Greece, the last 3–4 years suffers from the economic recession. Cut downs in the national investment budget led to huge delays in construction projects, environmental protection and monitoring projects, and cadastral studies that used to be the locomotive of drone mapping. Private sector projects are struggling to survive under heavy taxation and lack of funding, facing liquidity stress due to the above and to the imposed capital controls. On top of this, there is a new set of regulations imposed on drone use starting from 2017. Drone mapping evangelists a more efficient way to collect accurate data and under economic stress, efficiency is a key word but you need to have cases to work on. Summing up, not the best place and time to practice drone mapping, but this is what we have and what we need to stand up for. What do these regulations mean on a practical level? How do they affect drone operators / drone-based service providers? Before being specific, I would like to express my feeling that Europe, in general, is losing ground in drone business adaptation. It is a continent with a lot of bureaucracy, committees and councils legislating for every detail. It takes time to end up with a set of rules and by the time they are ready to deploy, the market has already taken several steps in front. Greece couldn’t be an exemption. 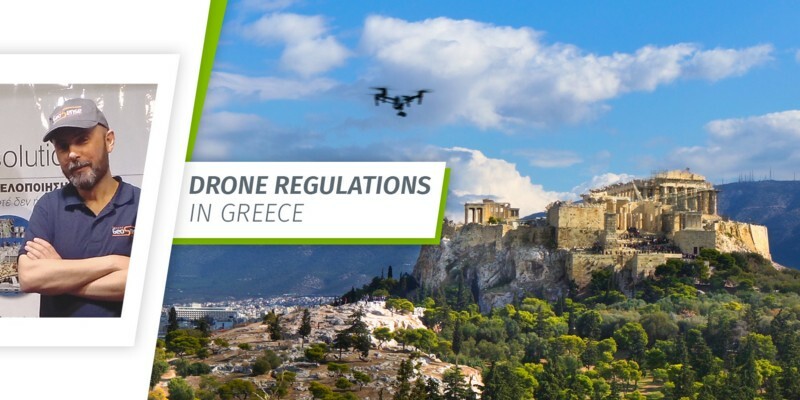 After years of dead silence, in 2016 civil aviation authority translated an EASA technical opinion, blended it with a set of regulations from manned aircraft and made it the Greek drone regulation framework, enforced in 2017. If they grant you the license, you must inform and deliver a copy of your license to local security authorities like police. No one is against a set of regulations, as long those regulations respect the real market and entrepreneurship. The problem here is that some people behind their desks with no connection to the drone market decided a framework based upon an EASA technical opinion that wasn’t a regulatory framework. That is why it lacks specifications. It describes 3 categories, open, specific, and certified, and for the last two there is no technical specification about how to enroll a drone. What is your forecast? How will these regulations affect this market? For the existing drone operators, I believe that because of the recession and the hard-to-cope-with-framework, most will not adapt the procedures and won’t follow the rules. They cannot afford it. Moreover, there is a lot of paperwork and procedures to follow. It is hard to switch the market from one end to another just like this. For the newcomers, it is a new consideration for their business plan. For drone service providers, I believe that the existing framework is another drawback to enter the Greek market. The cost of maintaining a fleet of drones and a pool of certified operators is rather high compared to the level of business. Sales are driven from business demand. As this demand is low, having such a complex and costly set of regulations stresses more both sales and any existing business. I would expect from local authorities to adopt a step-by-step procedure assisting the market transformation and adoption, considering the special economic situation we face. What would you advise to drone operators? Being illegal is not the best practice. It takes only one bad moment and you may rundown your business. Use your corporate organizations and their lobbying power to push for a more business friendly framework.